Artist’s Notes: I was attracted to the angled lines of the carport on this still-operational motel. 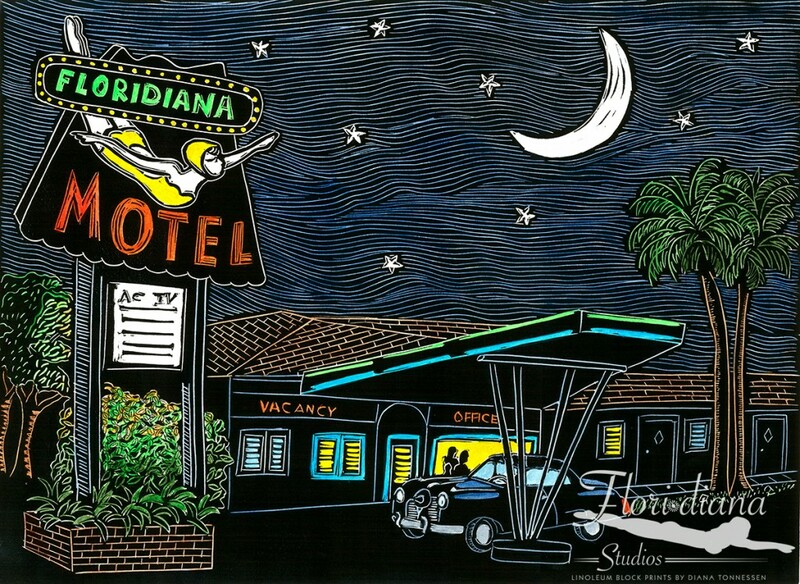 The sign was adapted from the Fresno Motel in California. The car in the driveway is a 1951 Studebaker Champion. For a real treat, drive by the motel after sunset, when the carport is decked out with a double dose of neon in unexpected colors. Motel Sea Shell Hot Sauce on the Side?